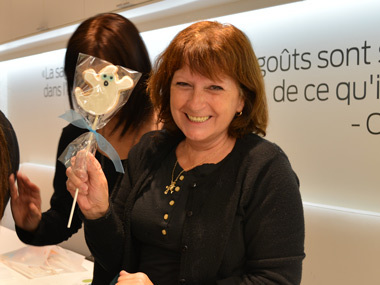 You can come and decorate cookies at any time with family, friends, for a shower, for a bachelorette or for a kid's party in our shops in Montreal (Ahuntsic, 2 steps from Laval) or directly at home with our mobile teams. A reservation is necessary but you can call even at the last minute to see our availability. Opt for a turnkey children's party animation at our Montreal boutique. Opt for a turnkey children's party in the comfort of your home! 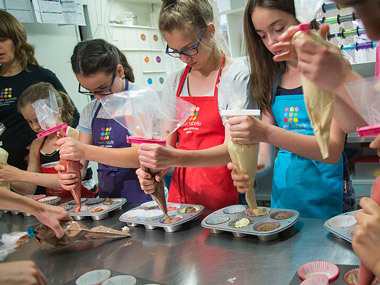 For a gourmet activity that combines pleasure and complicity with your family or friends! Decorating cookies is the perfect activity to celebrate a birth, a bachelor party, or a 16-year-old birthday (sweet 16). Our cookie decorating activity is perfect for your Christmas party, employee party, or team building activity. We also come to your place to set the mood in your corporate event! A day camp at Sweet Isabelle is an open door to creativity! See my different packages for activities in school, extracurricular or day care. 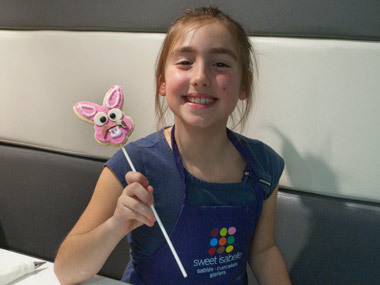 You have already decorated cookies at Sweet Isabelle and would like to experiment another activity? Opt for a cupcake decoration workshop! Workshop reserved for 12 years and over and groups of 8 minimum. Cookie decorating workshops, open to all, are offered each month and for all annual thematic holiday (Halloween, Christmas, Valentine's Day, Spring Break, Easter, Mother's Day, Father's Day, etc.). Whether a gift for teachers, Christmas, Mother's Day or Father's Day, the cookies you decorate during a workshop are always highly appreciated! A cookie decorating workshop is not complete without a nice big homemade cupcake, which you get to make yourself of course!